Serialization, ePedigree, and Track & Trace - Xyntek Inc.
As federal agencies, state governments, pharmaceutical companies, and the rest of the Life Sciences industries (Medical Device, Bio-Tech, & Bio Pharm) take measures to meet the new Drug Quality Security Act (DQSA) regulations by November 2017 or to reduce drug counterfeiting and product diversion, they are faced with the challenge of implementing serialization and tracking systems for both self-interest and regulatory compliance. Xyntek-Antares' unique global awareness of the mass serialization market, standards, and implementations makes us an ideal partner for your emerging needs. Xyntek-Antares offers a suite of proven Serialization, Track & Trace, and ePedigree hardware / software solutions, turnkey integration and consulting services to help our clients define and execute on a serialization strategy that covers the factory floor and packaging lines through the entire enterprise and Supply Chain. 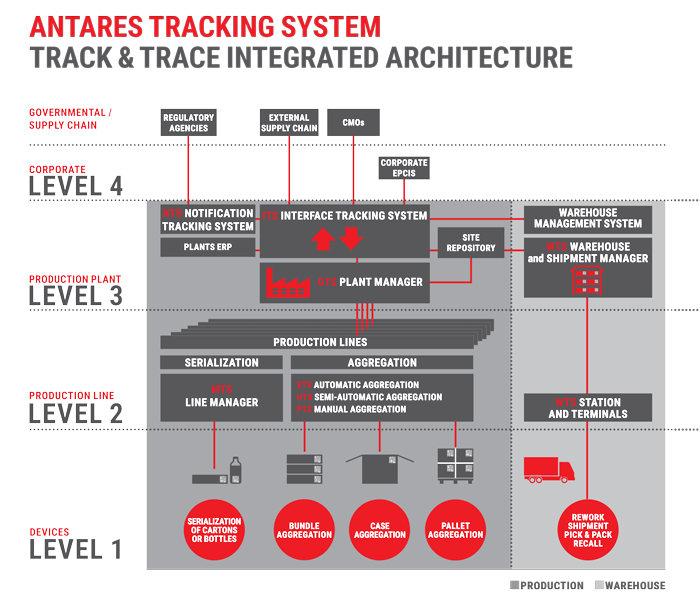 Antares Tracking System (ATS) is the complete software suite to manage track and trace/ e-Pedigree of drug packages. ATS has already proven its functionality and efficiency in over 100 plants, fulfilling all the regulations enforced so far (Turkish, Korea, Argentina, China, etc.) and serializing and aggregating over 5 billions of SKUs. The ATS architecture is completely open to different corporate ERPs and to the supply chain. The philosophy behind ATS is completely modular and scalable, and is based on a set of cycles with redundant control: check of the inbound codes, print the data, and check the outbound codes. The control cycle is carried out by machinery specifically designed for the different levels of the production and packaging line, starting from the single package, to the bundle, the case and finally the pallet. 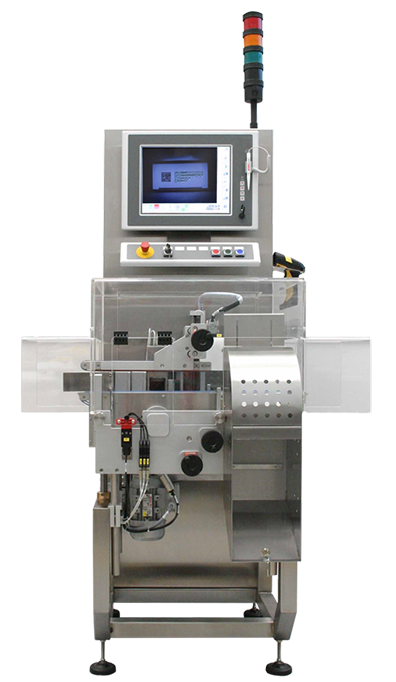 The ATS System, installed, validated, and in Production on over 750 lines Worldwide is a complete software solution set designed to meet customers’ serialization and aggregation requirements on the basis of stringent drug tracking regulations. Allows warehouse or distribution centers to prepare shipments through re-aggregation and decommissioning of containers, and manages ePedigree information and history. Enables Online serialization functions by printing fixes and variable data on labels/products and checks correctness and integrity of printed data. Bottle Tracking System (BTS) is the complete hardware and software solution to fulfil the current and upcoming regulations on traceability and e-pedigree when bottles have to be managed as a single selling unit. Enables Offline serialization functions by printing fixes and variable data on labels/products and checks correctness and integrity of printed data. Equipped with high resolution cameras, this module reads all datamatrix codes inside the bundle/wrap, and prints/applies/verifies the bundle label. Several options are available (including solutions to read codes prior to entering case packer and solutions fitted inside the case packer) to verify the contents of the case and build the aggregation tree. 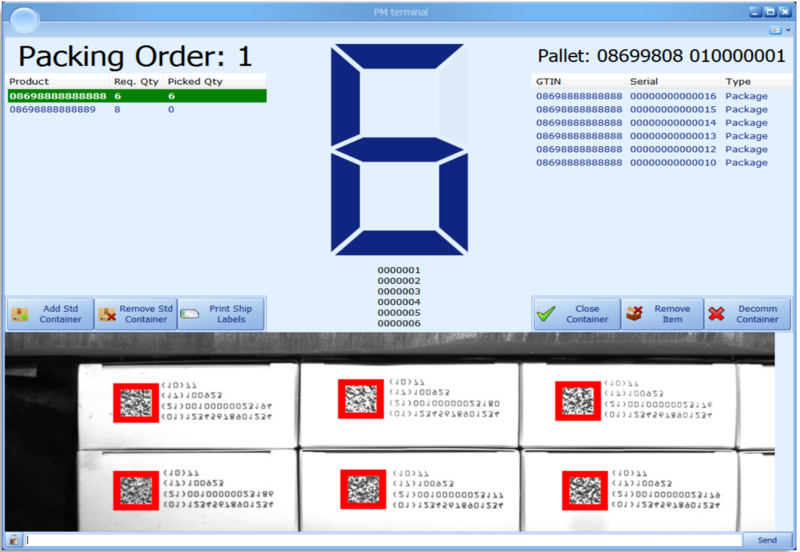 Also enables manual aggregation of bundles and cases to pallets.